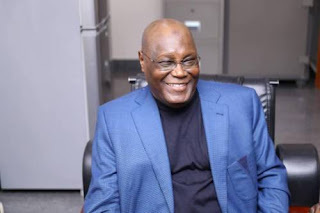 A United States of America visa has been issued to Atiku Abubakar, presidential candidate of the Peoples Democratic Party (PDP). According to The Cable , a family source confirmed that the former Vice-President has been issued the visa. Former President Olusegun Obasanjo is also said to have played a “critical role" in getting the visa. On Thursday, Lai Mohammed, Nigeria's Minister of Information, had cautioned the US on granting visa to Abubakar, stating that the move could be seen as taking a bias position on the 2019 general election. When questioned on the matter on Friday, Brussel Brooks, Public Affairs Officer (PAO) of the United States of America in Lagos, also refused to speak on the matter, maintaining that Atiku's visa status was confidential.